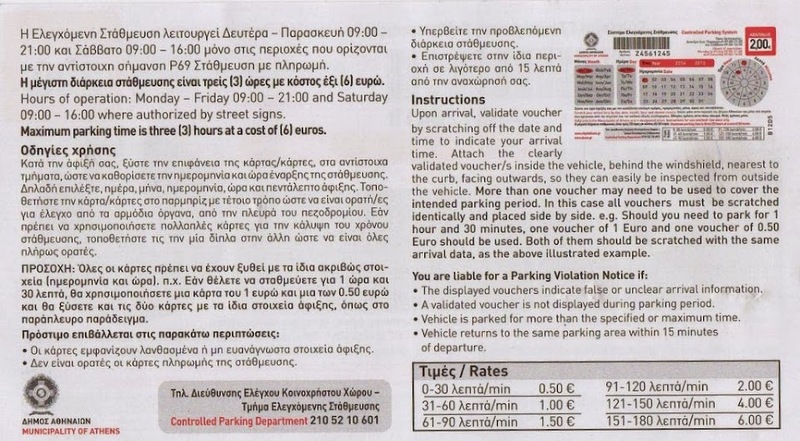 Parking in the center of Athens is payable for visitors, it is free for locals with a special permit. 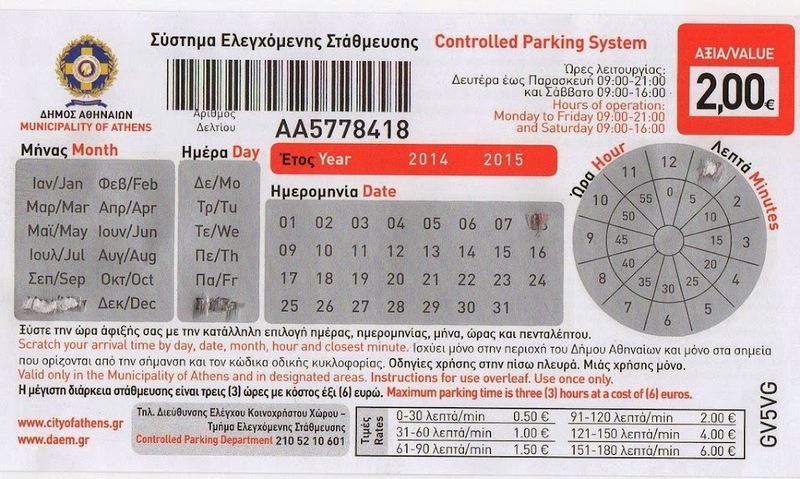 More detailed information can be found Municipality of Athens web site. 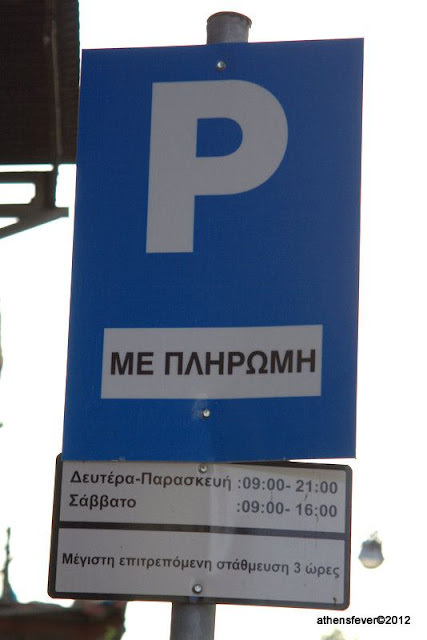 The maximum parking time is 3 hours. Blue line parking: Free parking for locals. 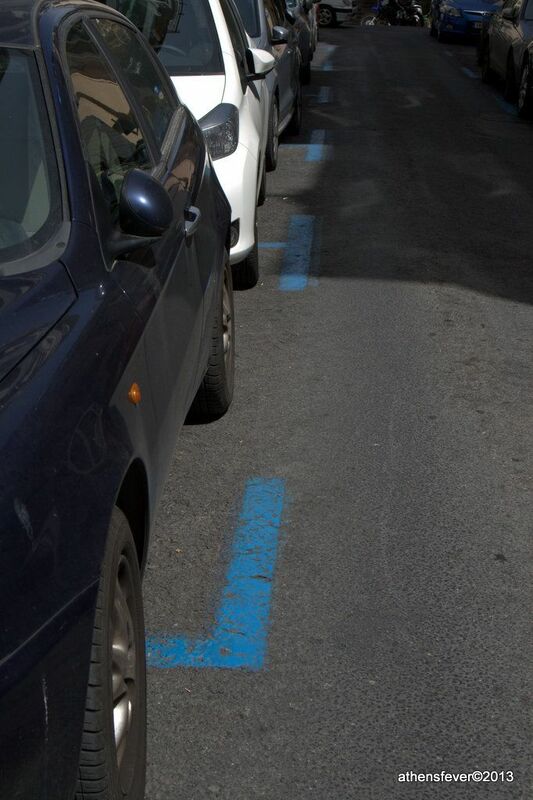 White line parking: Payable parking for visitors on weekdays from 9 am to 9 pm and Saturday from 9 am to 4 pm. 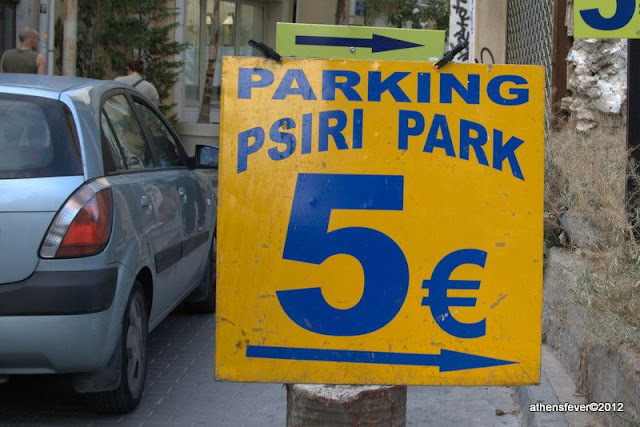 Pre-paid parking cards are available in kiosks "periptero" that can be found nearly everywhere around Athens. For a longer period of parking you might use PolisPark underground parking areas, or one of the many private parking shown in the following map.